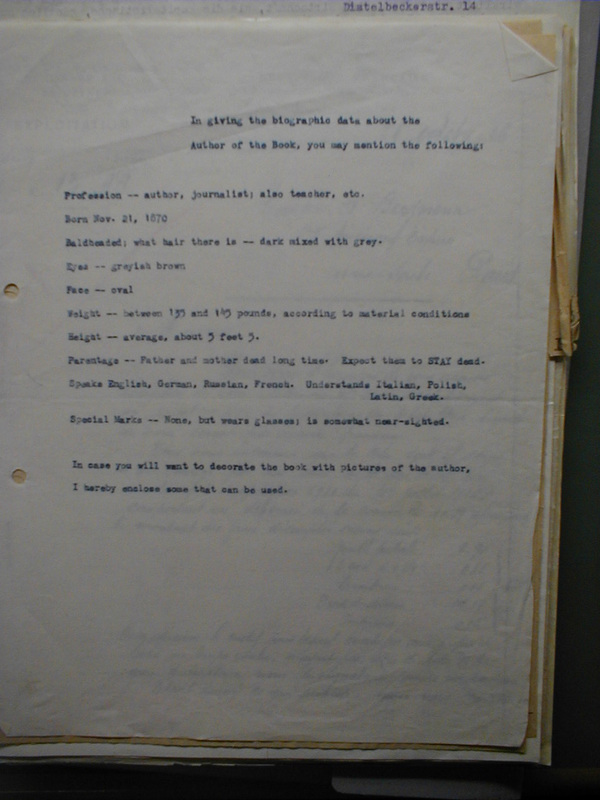 This manuscript is part of the International Institute for Social History's Alexander Berkman archive and appears in Anarchy Archives with ISSH's permission. Profession -- author, journalist; also teacher, etc. Baldheaded; what hair there is -- dark mixed with grey. Height -- average, about 5 feet 5. Parentage -- Father and mother dead long time. Expect them to STAY dead. Speaks English, German, Russian, French. Understands Italian, Polish, Latin, Greek. Special Marks -- None, but wears glasses; is somewhat near-sighted. In case you will want to decorate the book with pictures of the author, I hereby enclose some that can be used.